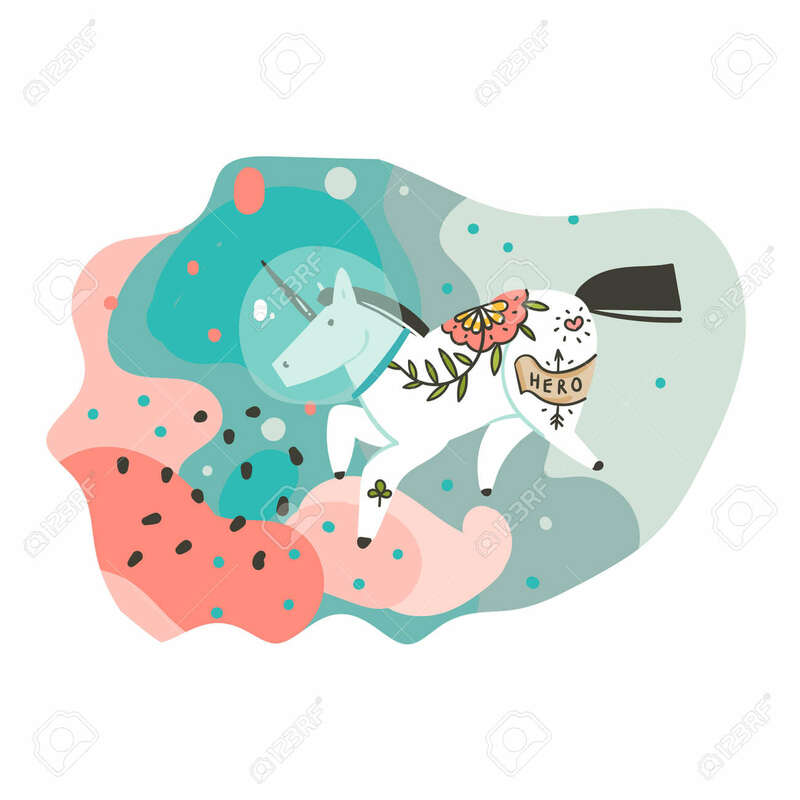 Hand Drawn Vector Abstract Graphic Creative Cartoon Illustrations Poster Or Print With Cosmonaut Unicorn In Helmets ,comets And Planets In Cosmos Isolated On White Abstract Background. 免版稅剪貼畫，向量插圖和股票. Image 116845753.